The cooler is one of the most underrated components in a PC. Most people buy a processor and simply use the stock cooler. However, the best CPU coolers in the market are far more powerful, efficient, and deliver better cooling than a stock cooler. If you’re building a gaming rig or any performance PC, choosing the right cooler can make a lot of difference. Not using the right one can affect performance and even the longevity of the processor. If your CPU usually runs unusually hot and this continues over a for over a period of time, you run the risk of overheating the processor, which can actually destroy it. So, it’s very important to get the right cooler. If getting the best cpu for gaming don’t ignore the CPU cooler either. As it is with most other products, the best CPU cooler for you is the one that won’t stretch your budget thin and delivers all the performance you need. However, simply buying the most expensive one you can afford isn’t the best way to go about it. Air or liquid, fan size, RPM, and physical size are just some of the things you need to keep in mind before splurging on an aftermarket cooler. To help you out, we’ve listed the best CPU coolers that you can buy today. After the list, there’s also a short Buying Guide where we explain some important factors you need to consider before making a decision. Each product in the list below is ranked based on a few factors. Price and performance are the two primary deciding factors. Other factors like RPM, type, size, and availability are all considered as well. With all that sorted, here’s the list. 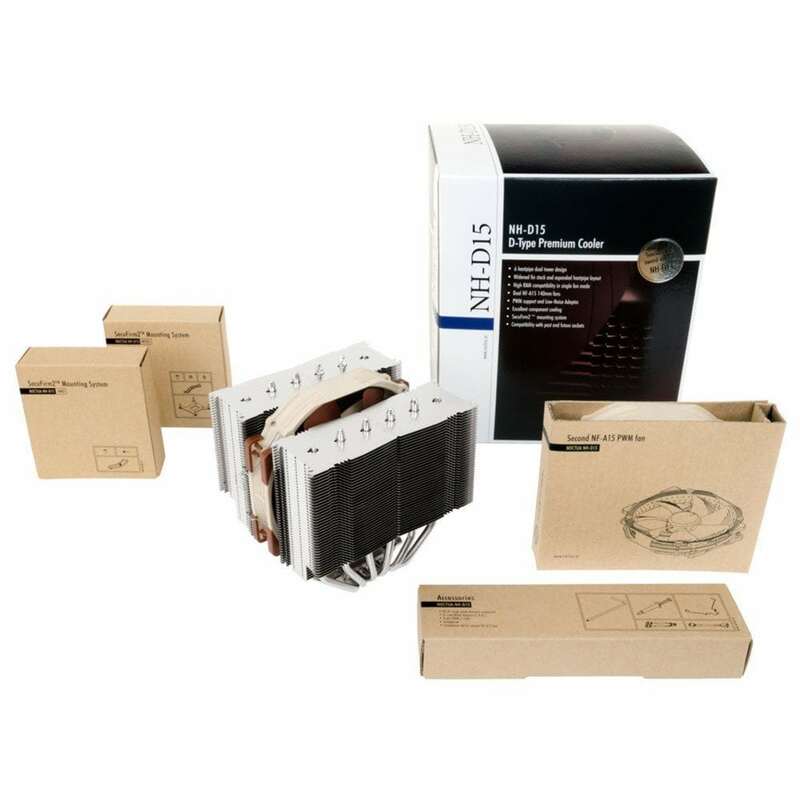 The predecessor of the Noctua NH – D15, the Noctua NH – D14, was something of a game-changer in the cooler world. It was huge, powerful, and had a dual-tower heatsink that was cooled by fans. However, its size was a problem. If you wanted to add tall memory, you had to remove the cooler to do that. Enthusiasts change memories all the time and over the years better-performing coolers overtook the NH – D14. I mention the D14 because the D15 is, in actuality, just a D14 without the disadvantages. Noctua has kept all that was good and repaired the few things that were wrong. So, is it any good now? Yes. Very, very good. 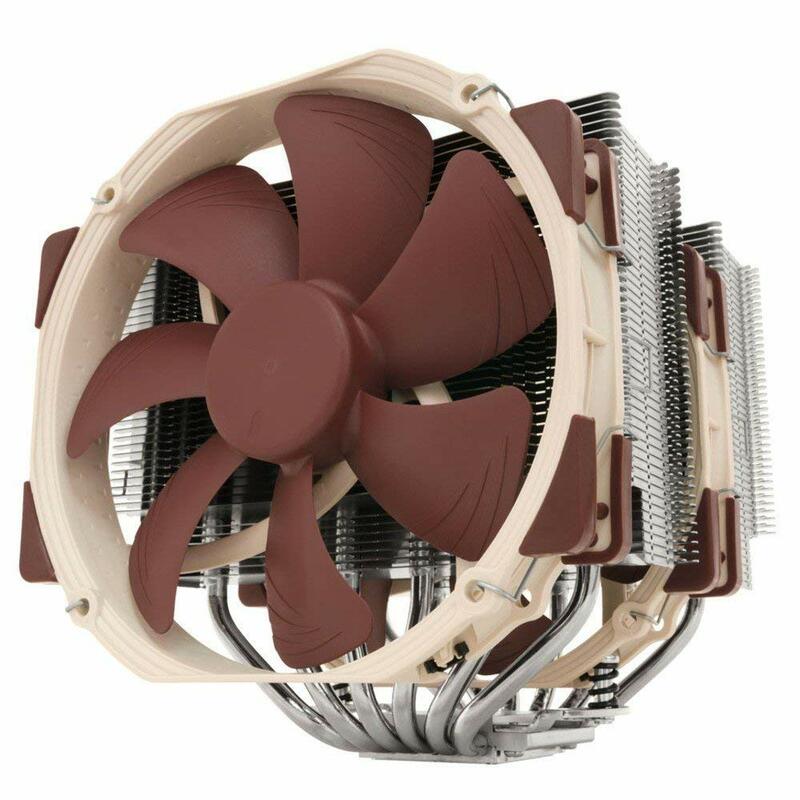 The Noctua NH D15 is, simply put, the best air cooler that you can buy today. 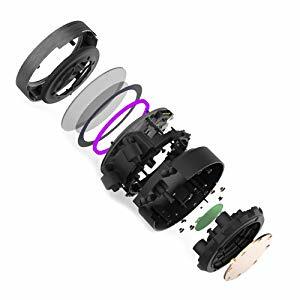 To rectify the size problem, now there’s a notch that’s provided for the memory and this will also help to accommodate the modern heat spreaders. 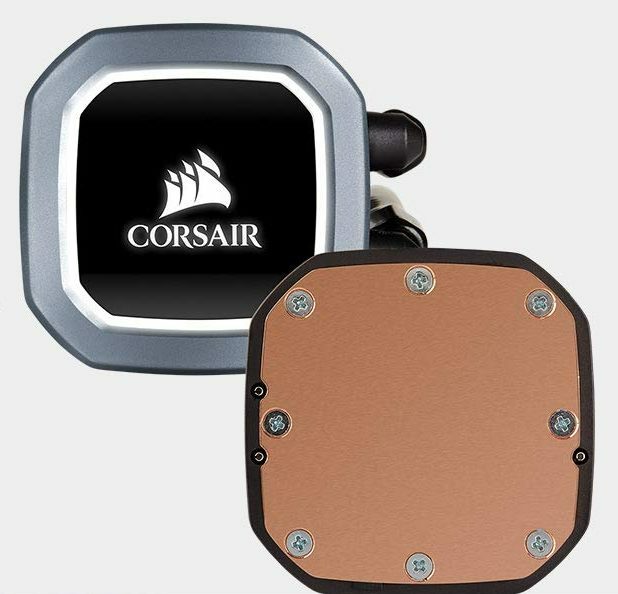 The fans are a 140mm and the cooler itself is a D-type, meaning it has two heatsinks, instead of just one. 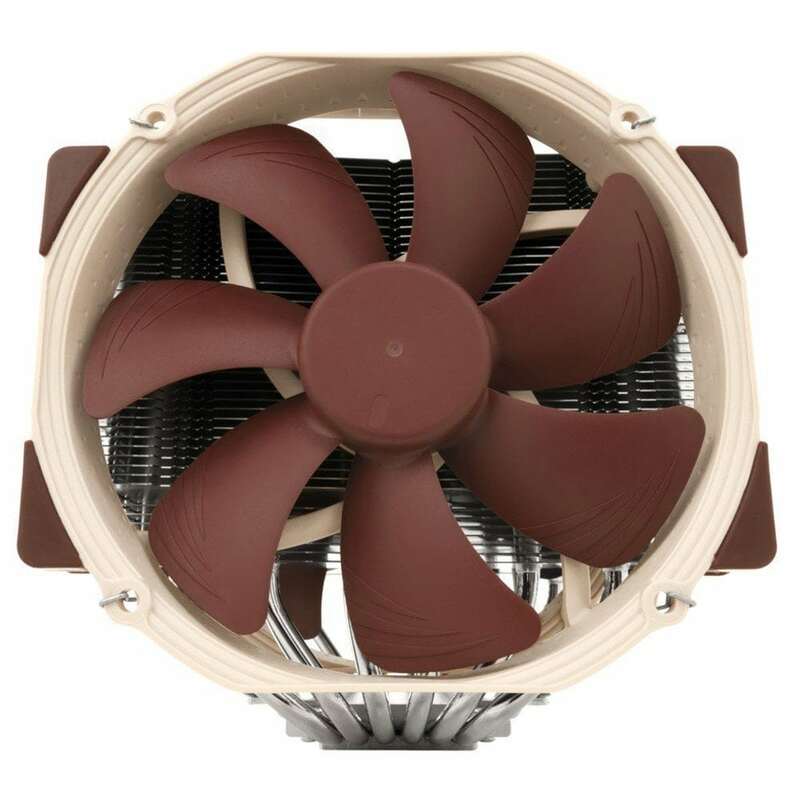 Noctua coolers are known for their quiet performance and the D15 is no exception. On the performance front, few air coolers can match the D15. As long as extreme overclocking isn’t on your to-do list, the D15 is more than enough. It can manage moderate overclocking of high-end processors like i7 8700k and i7 7700k with ease. 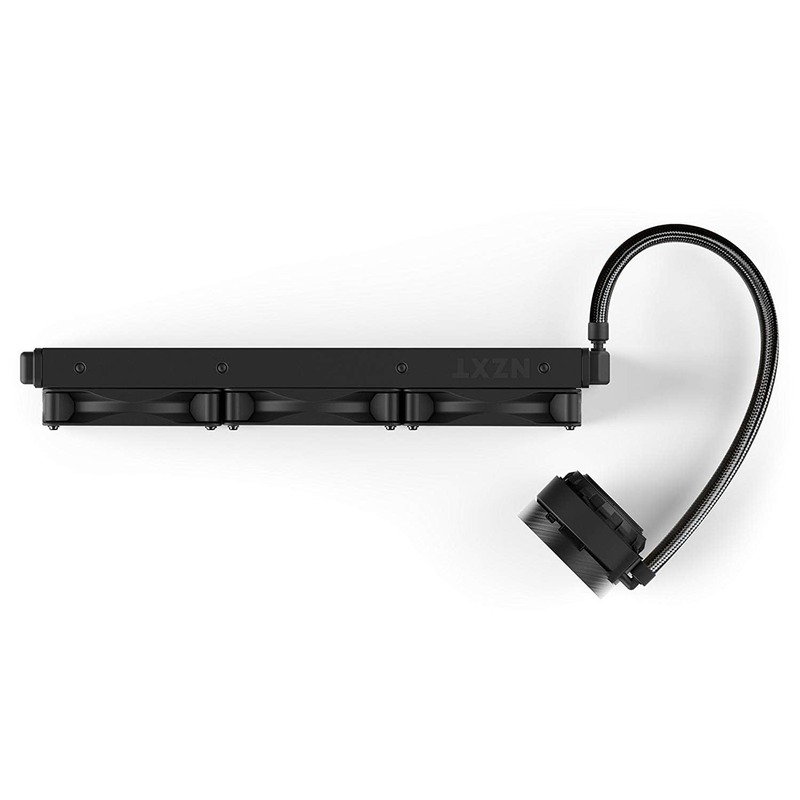 The mounting hardware provided with the D15 is simple to use and is regarded as one of the best in the market. However, in spite of all the praise, everything isn’t perfect with the D15. And much like with its predecessor, the D15 suffers a size problem. Even if you use a low-profile motherboard, the fan will stand tall at 165 mm, meaning you can’t just chuck it anywhere. One solution is to fit a smaller front fan, say 120 mm. Or you could just use the middle fan. However, with both these solutions, will compromise performance. So, if you don’t want that dip in performance, you’ll have to find some space for this monster. And for some people, this might be a deal-breaker. Apart from clearance issues, there’s really not much to complain about the D15. It’s heavy, yes. It’s pricey, yes. But, then again, you get unmatched performance with the D15 and if you can afford the space, you can’t really go wrong with this cooler. 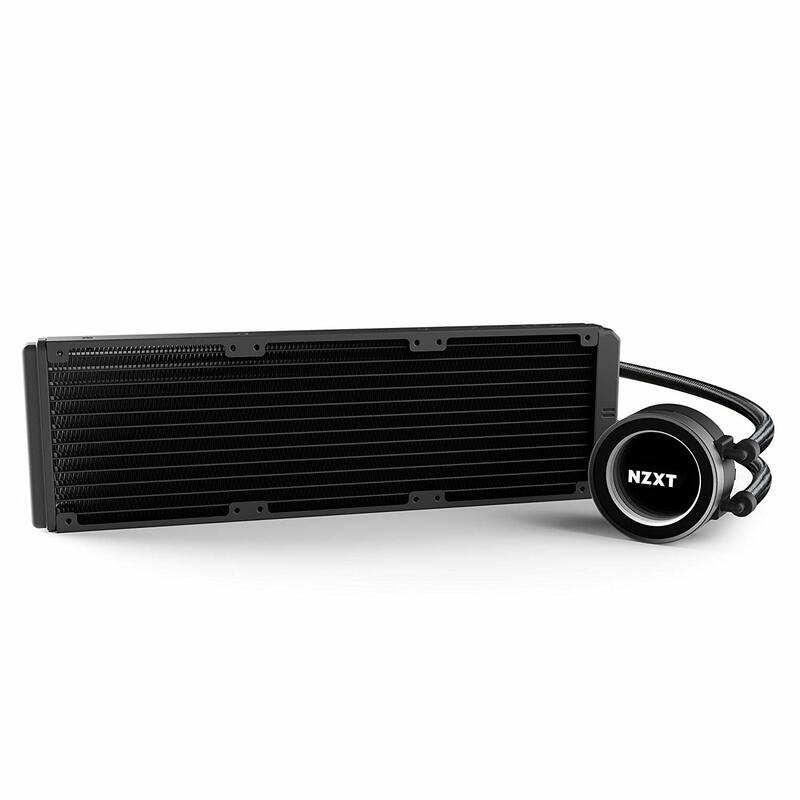 If money isn’t a concern and you’re after the best that money can buy, the NZXT Kraken X72 is the cooler for you. NZXT is also popular with PC enthusiasts and overclocking fans because of the quality and performance of their coolers. 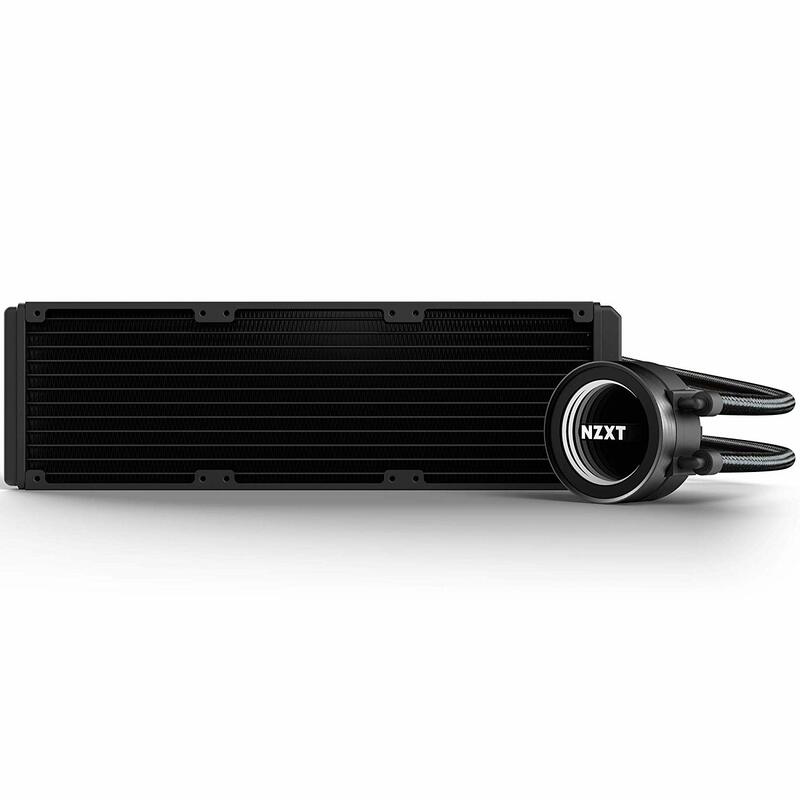 The X72 is the top-of-the-line, flagship cooler liquid cooler from NZXT. The Kraken X72 features a 360mm aluminum radiator and a pump (which has gone considerable engineering changes) that can cool the hottest processors right down. The X72 also comes with a CAM software that not only shows you all the details of your cooler but also allows you to control the lighting of the infinity mirror, ring, and the logo. However, there’s one detail that’s to be noted. 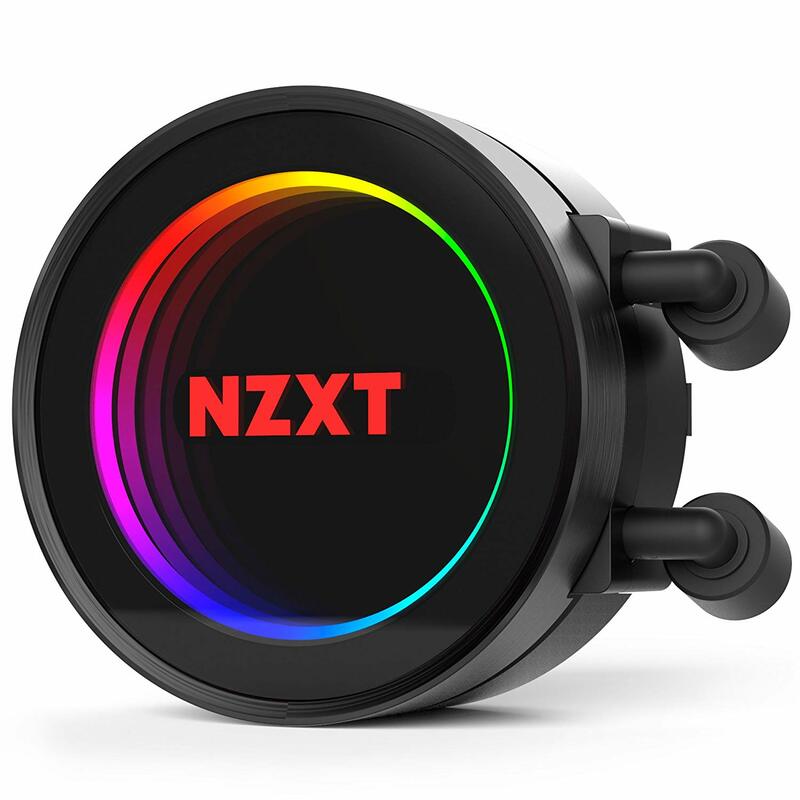 The CAM software sends user data to NZXT if you choose to login using your Google or Facebook account. One way around this is to log in as a guest user. However, certain functions cannot be accessed in the guest mode, which is a shame. On the performance front, there’s really not a lot to complain about the X72. Thanks to the 3 powerful front fans and the liquid cooling, you get plenty of overclocking headroom. This holds true for almost all processors that you can think of. This includes the AMD Threadripper series as well, which is now compatible with the NZXT X72. What impressed us the most though, was the noise levels. Even with all the three fans working, you can hardly hear a peep. Turn on the silent mode, and the X72 is almost silent. If you’re thinking of buying the X72, we can’t recommend a glass case more. This cooler is truly a thing of beauty. Open the CAM software and fiddle around with the RGB settings and you’ll see what we’re going on about. All this said, one thing needs mentioning. This isn’t a mainstream cooler and most people don’t need it. Even if you’re a heavy gamer, the X72 is most probably overkill. 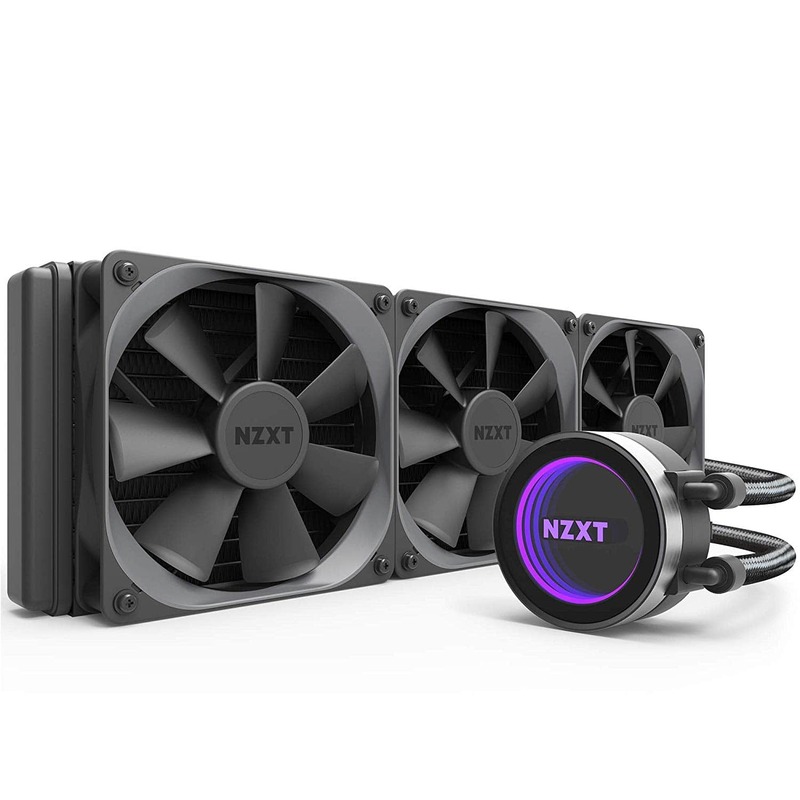 However, if you’re into overclocking or use a lot of multi-threaded applications that heat up the processor a lot, the NZXT Kraken X72 is perfect for you. Mandatory Google/Facebook login to use all the features of the CAM software. 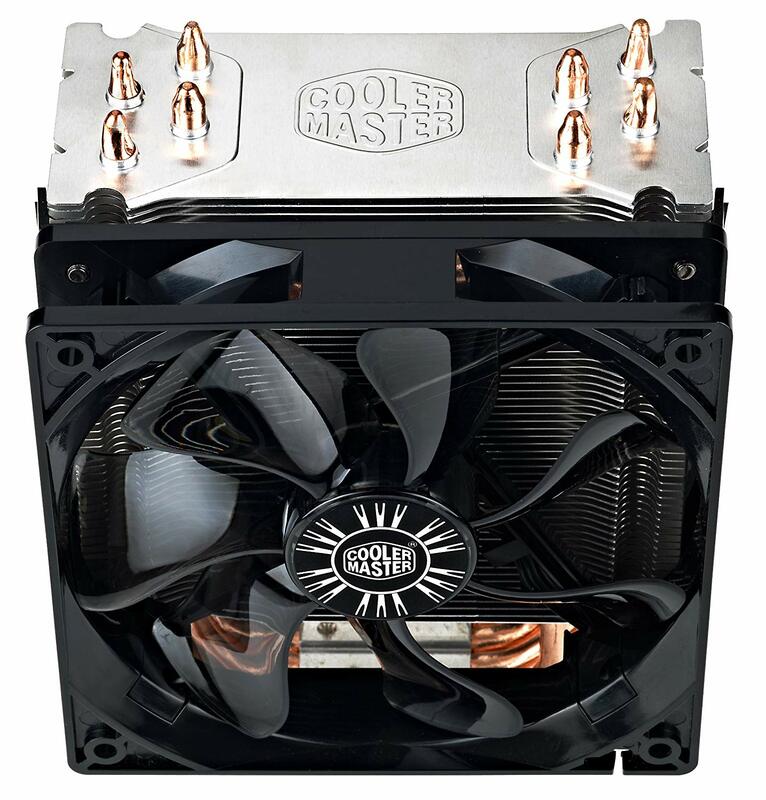 Welcome everyone, to the most popular aftermarket cooler in the market – the Cooler Master Hyper 212 Evo. It’s economic, works reliably, and delivers excellent performance. 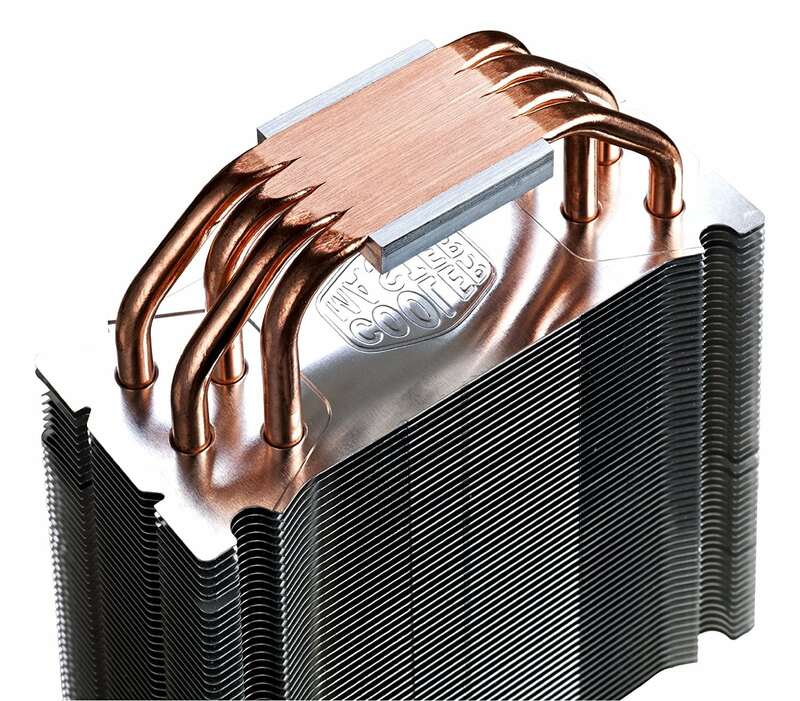 The cooler was actually launched a few years ago and called the Hyper 212+. 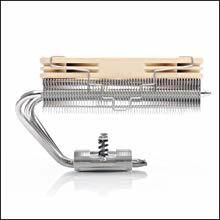 Over the years, Cooler Master has finessed the cooler with better heat pipes and cold plate designs. The fan has been upgraded at various stages as well. 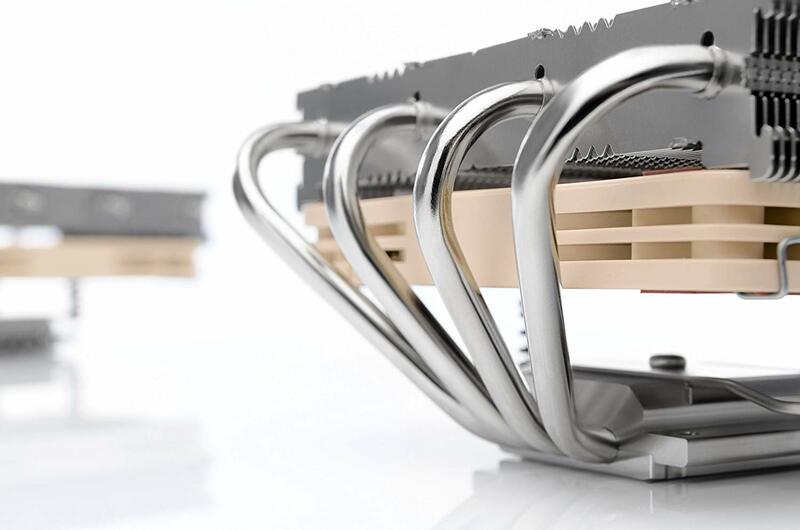 The Hyper 212 Evo is a direct contact cooler, meaning 4 copper heatpipes are placed side by side and flattened. The entire system is locked with an upper block. 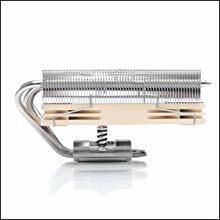 This direct contact with the CPU heat spreader results in excellent heat dissipation from the processor to the CPU cooler. But the technology isn’t the sole reason for its popularity. There are a few practical, real world reasons as well. Given that the Hyper 212 Evo is a budget cooler, several quality issues were reported at first. 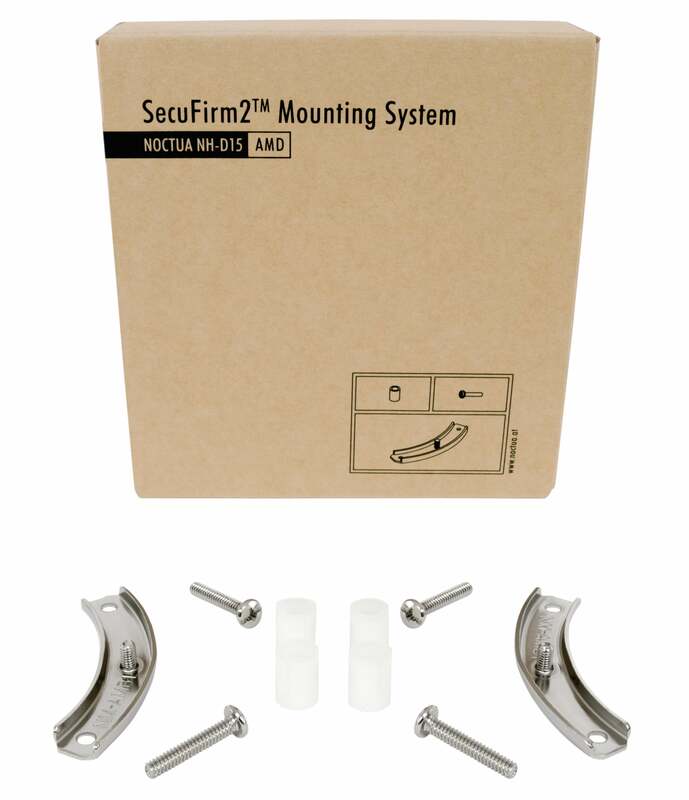 The materials wouldn’t hold long enough and there are cases where some mounting parts even snapped into pieces. These issues were exceptions rather than rule. However, Cooler Master improved the quality and today, the complains are few and far between. Another reason for the popularity is compatibility. The Hyper 212 Evo is compatible with almost all the mainstream processors available today, whether it’s the best Intel CPU for gaming or the best AMD processor for gaming. The last reason is of course, price. 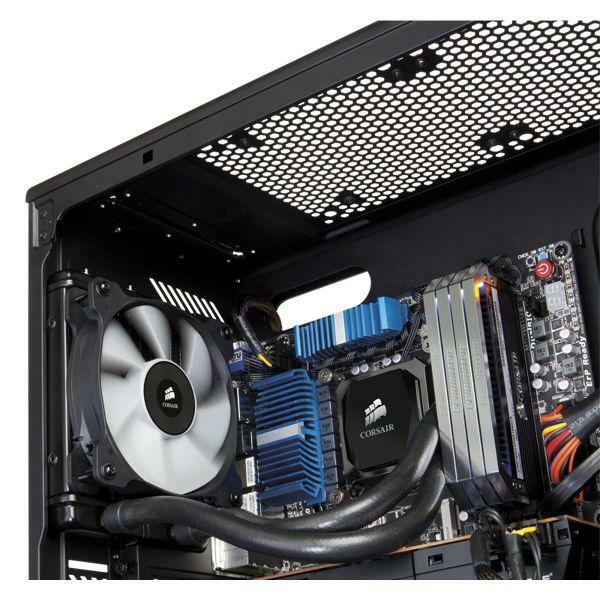 The Hyper 212 Evo is affordable and for its price, performs exceptionally well. Apart from the cooling downside, there really isn’t any other. But, if you’re using an AM4 Ryzen processor or any other AMD gaming processor that has been shipped with the Wraith cooler as standard, the Hyper 212 Evo isn’t really an upgrade. The performance is almost identical. On the other hand, if you have an Intel processor, you would have observed that the stock coolers are usually very loud. And if you didn’t know this, here’s some news. Most of them are also underperforming and are dust magnets. If you’re one of these owner, first off, sorry. Second, you won’t regret upgrading to the Hyper 212 Evo. 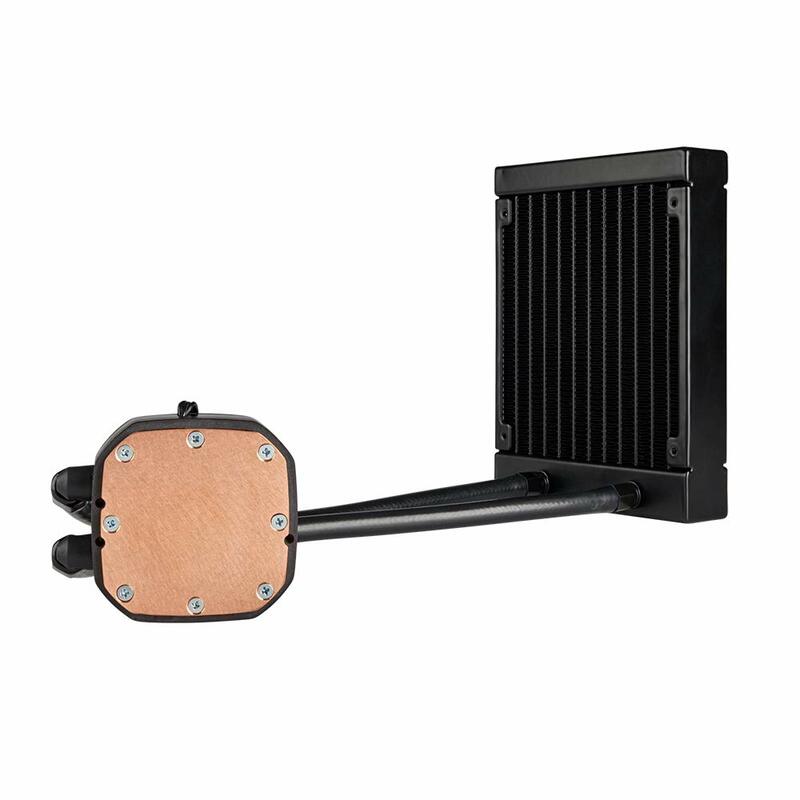 It offers excellent idle temperatures and is super-easy to install. What’s more, you even get all the hardware to install an additional fan if you choose to do that. However, we don’t think it’s necessary if you don’t stress your CPU. The direct contact technology is works very well. In fact, you could actually say to people that this is the best direct contact cooler and we bet there won’t be a whole lot of argument about it. All this makes this our best budget cooler of 2019. 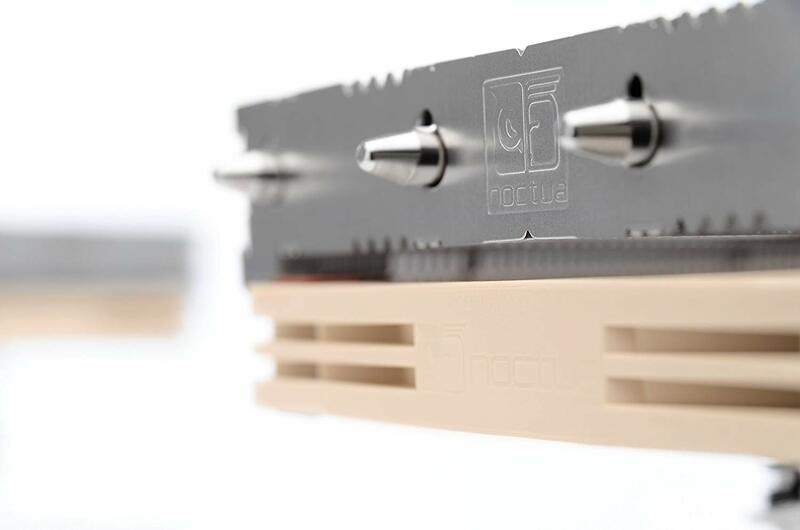 If you’re building a PC with a small case – say a micro ATX or an ITX case – or if you don’t have a lot of headroom for a typical tower CPU cooler, the Noctua NH L12S is the perfect cooler for you. 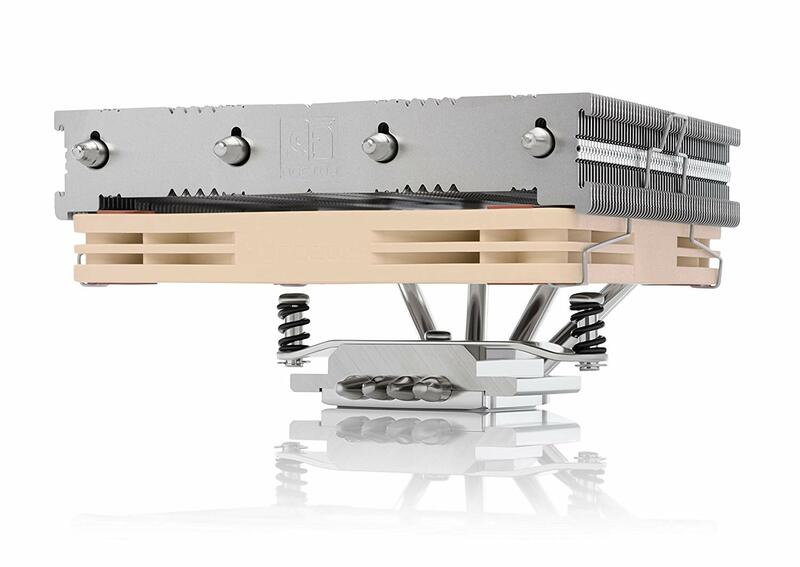 And like the Noctua NH – D15 that we saw earlier, this is also a successor to an already popular cooler – the Noctua NH – L12. 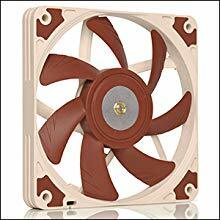 Irrespective of the changes, the fact that it’s a Noctua product assures you that it’s a quality item. It’s bound to be durable and efficient. However, what are the changes and do they make sense? Instead of two fans, only one is offered now and it’s also slightly smaller, standing at just 70 mm. 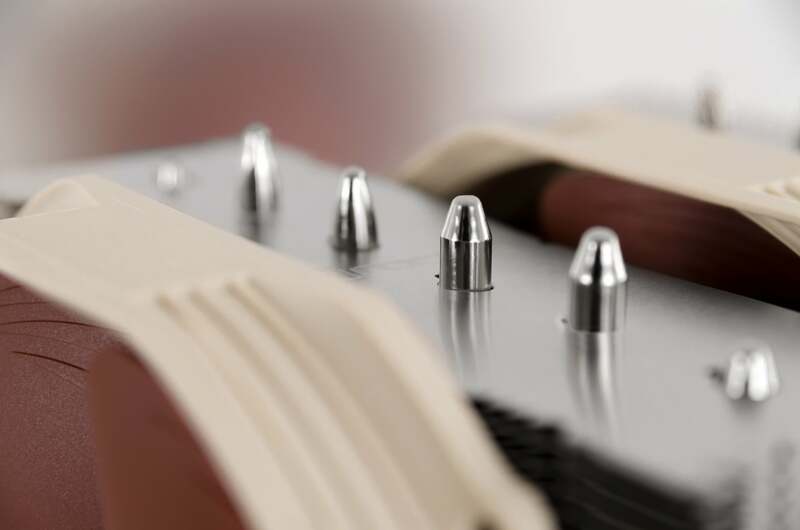 However, there’s no compromise in the performance, thanks to the new mounting hardware. 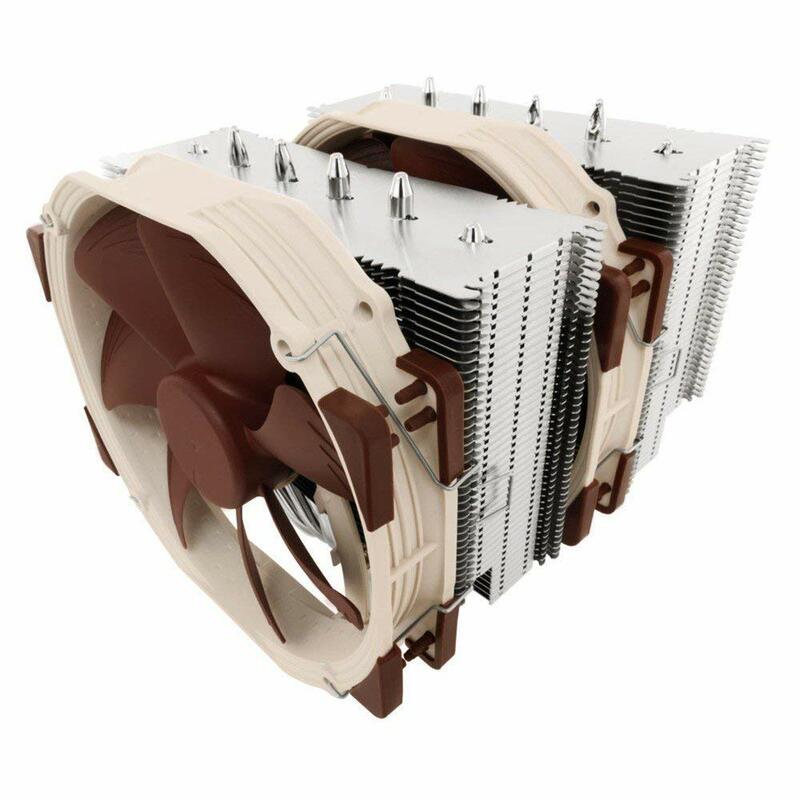 If you’re still not sold on the idea, Noctua has made accommodations for you to install fans above or below the fins. We don’t think this will be necessary, though. We have seen a significant improvement in performance. The tighter dimension has decreased the noise levels without compromising on cooling performance. Compatibility shouldn’t be an issue either. The NH – L12S is pretty much compatible with all the relevant processors in the market. What’s unlike Noctua, however, is the pricing. This one actually doesn’t cost an arm and a leg. The only real drawback is that you have to be rather careful when you purchase RAM chips. If you buy a chip too big, installing it under the cooler might be an issue. One other small niggle – for some people – might be the color. It’s brown. And that’s the only color on offer. No fancy black or aluminum here. However, we’re prepared to forgive Noctua for it. We care about performance far more. If you’re using the NH – L12S on a regular PC – you can and it’s not bad at all – and have more room to draw air, we recommend turning the fan down. This can actually bring down the temperatures by several degrees. Remember though, it should be used carefully on CPUs with over 95W TDP, as it is not suitable for overclocking. 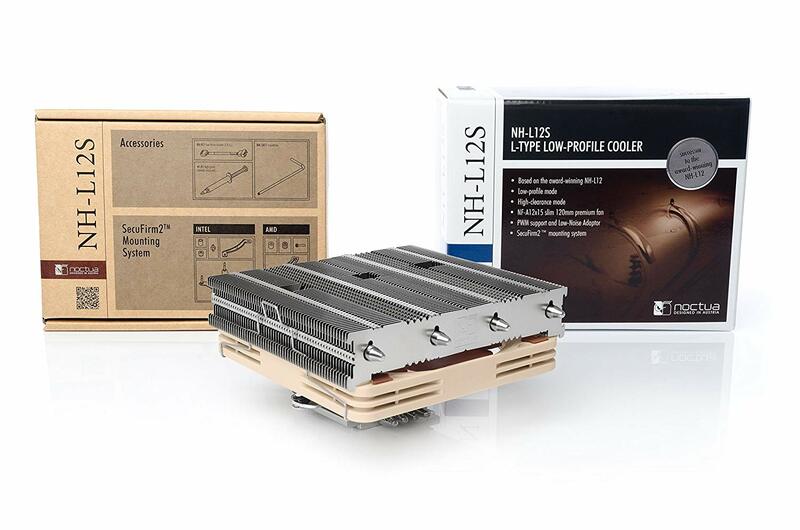 In conclusion, if you have slightly more than 70mm to spare for a cooler, the Noctua NH – L12S is the perfect choice. Liquid coolers are generally expensive. They are very powerful, have multiple fans, and usually an elaborate software suite to go with the premium price tag. 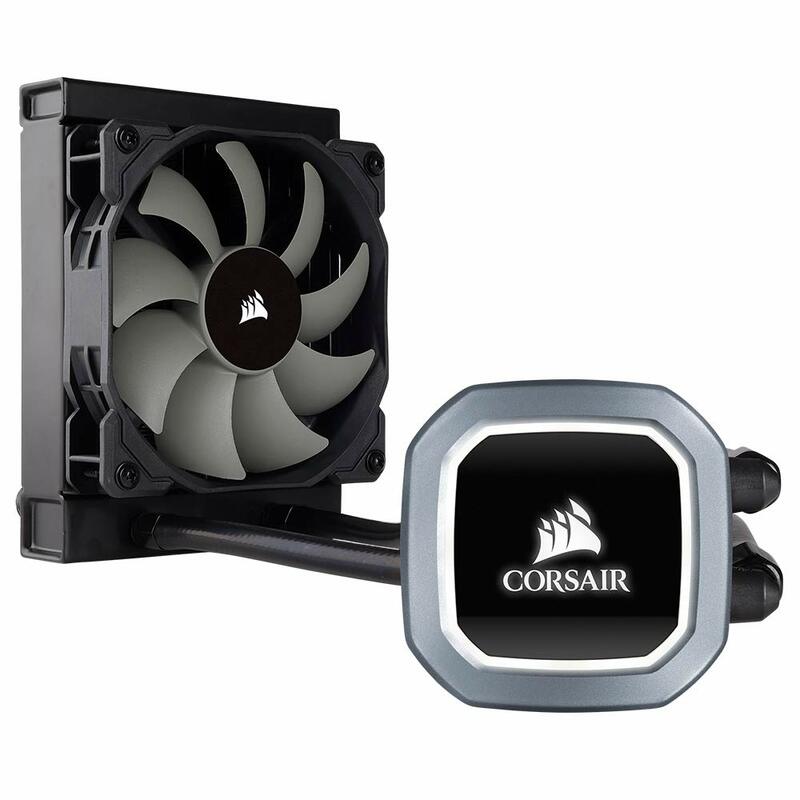 However, if you’re looking for a simple, relatively inexpensive and yet, well-performing cooler, the Corsair Hydro H60 is the one you’re looking for. 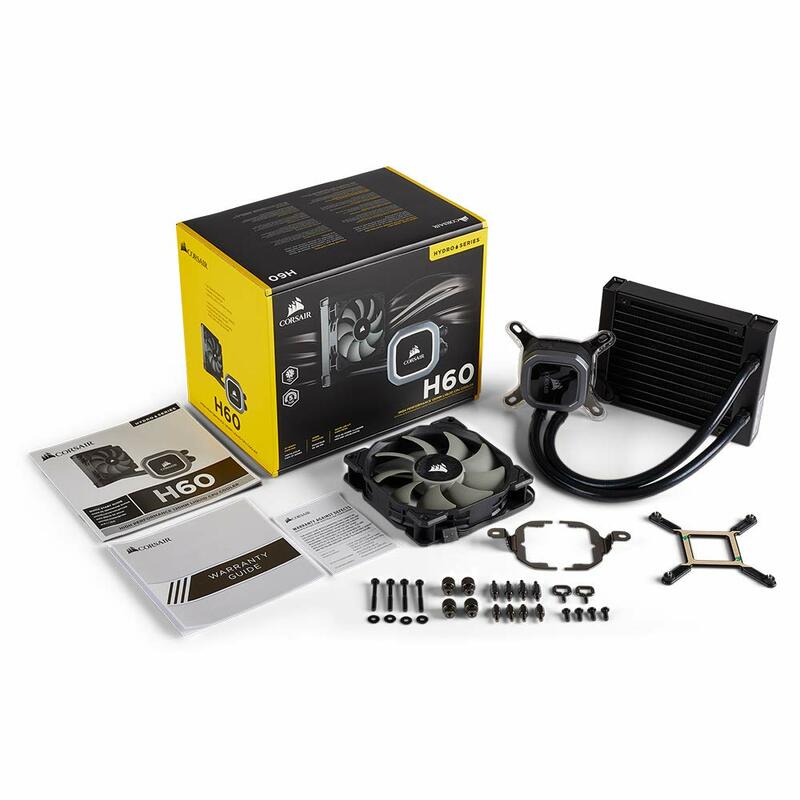 The Corsair Hydro H60 is a simple one-fan (120mm) AIO liquid cooler. It has just one LED-lit pump head and is built to be silent. Obviously, some corners have been cut to make it as cheap as it is. The SATA cable is quite short, there’s a grand total of ONE LED light and that light is always white. Before you ask, no. It cannot be turned off. 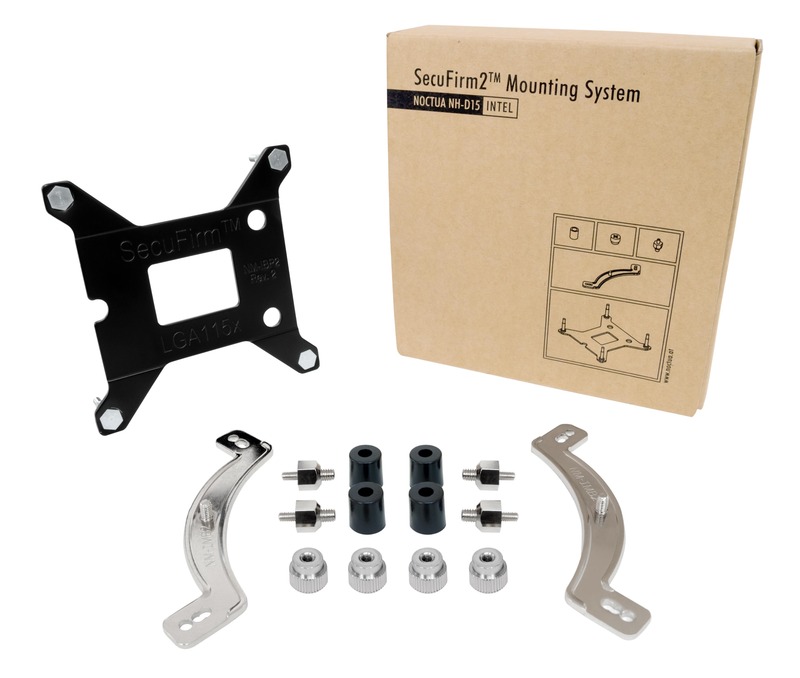 Also, the mounting system is a bit outdated and uses clips, meaning it’s quite tough to use it with Intel devices. However, the pros far outweigh the cons with the H60. First off, there’s the performance. If you’re a gamer, the H60 is more than enough. This holds true even with high-end i7 processors or the best i5 for gaming. And moderate overclocking isn’t an issue either. In fact, for the price, we don’t think there’s a cooler that can handle overclocking like the H60. 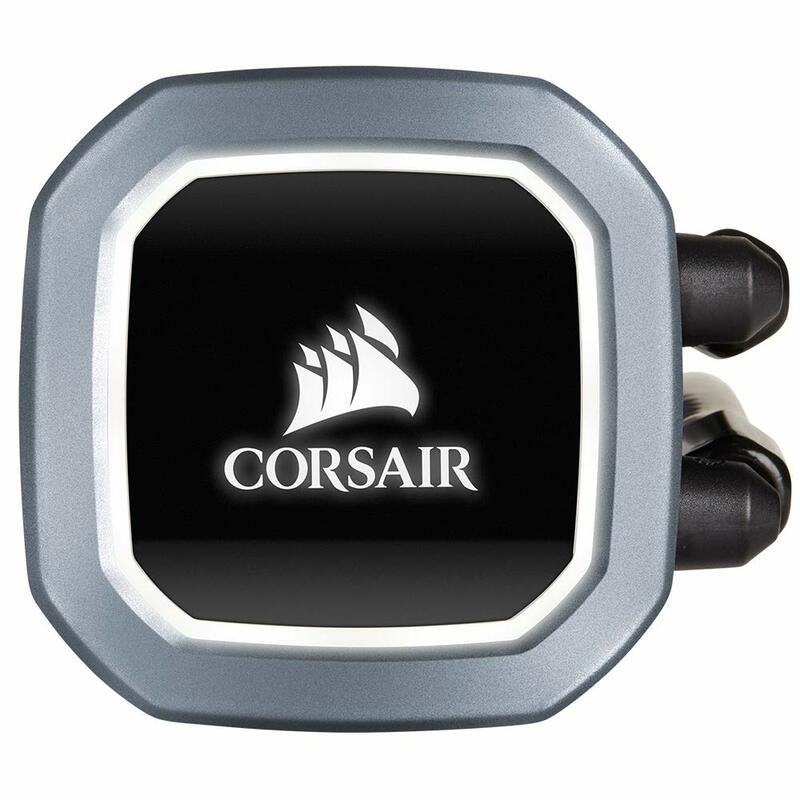 We don’t think Corsair hit the nail on the head with the noise levels, though. At idle speeds, the H60 isn’t all that silent at all. But on the other hand, the difference between other coolers and the H60 isn’t really much. The difference exists more on paper than in the real world. Then there’s the looks. Now, aesthetics are subjective but the Hydro H60, by any standards, is a looker The all black design with a slight peppering of grey is tasteful. And yes, we did complain about having only one white LED, but it actually looks very good. 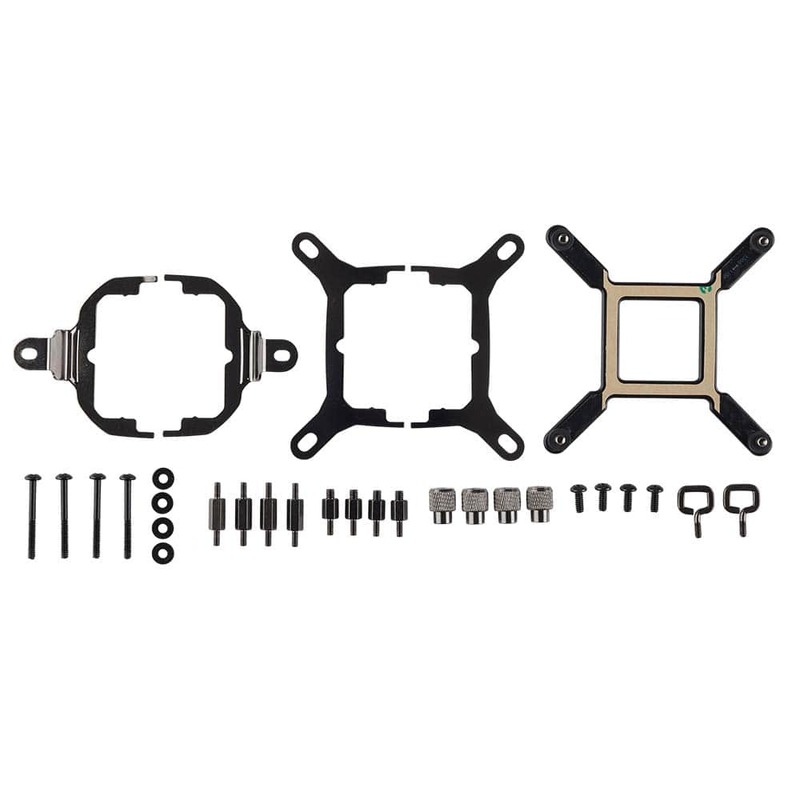 All in all, the 12mm radiator cooler is the perfect liquid cooler if your budget doesn’t exceed $80. 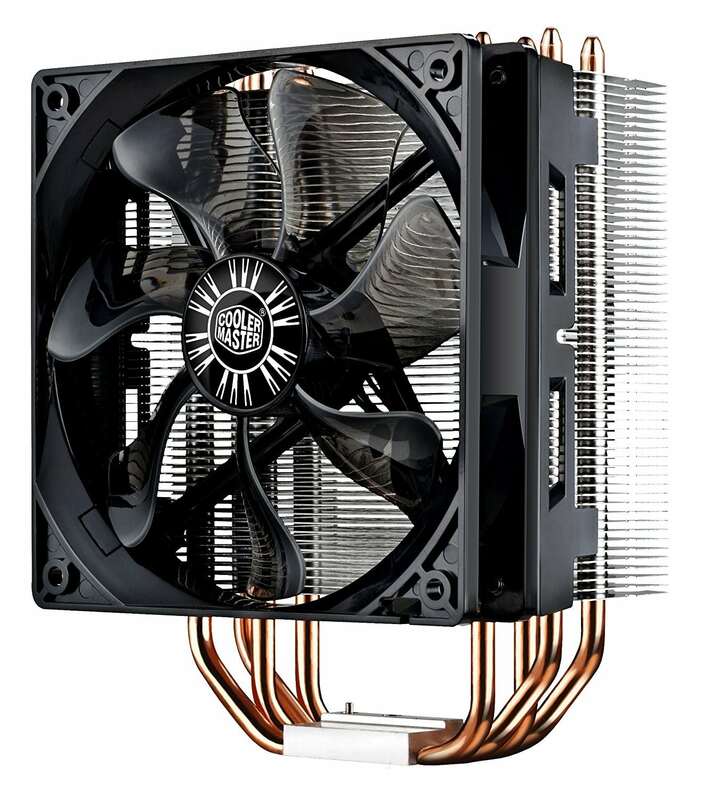 If you’re in the market for a CPU cooler, you have hundreds of products to choose from and if it’s the first time you’re buying a cooler, it can be daunting. After all, enthusiasts and experts throw around numbers, figures, and terms all the time. And these are important figures too. If you’re a bit dazed by all of this and just end up buying the most expensive one you can afford, there’s no guarantee that you’ll get the best cooler. Understanding a few important terms and facts will give you a much better chance. So, to help you out a little, we have created this buying guide. Listed below are all the important things you need to know before you make that all-important purchase. This is true for all components, actually. Understand what you actually want from your cooler. This usually depends on what sort of rig you’re using. 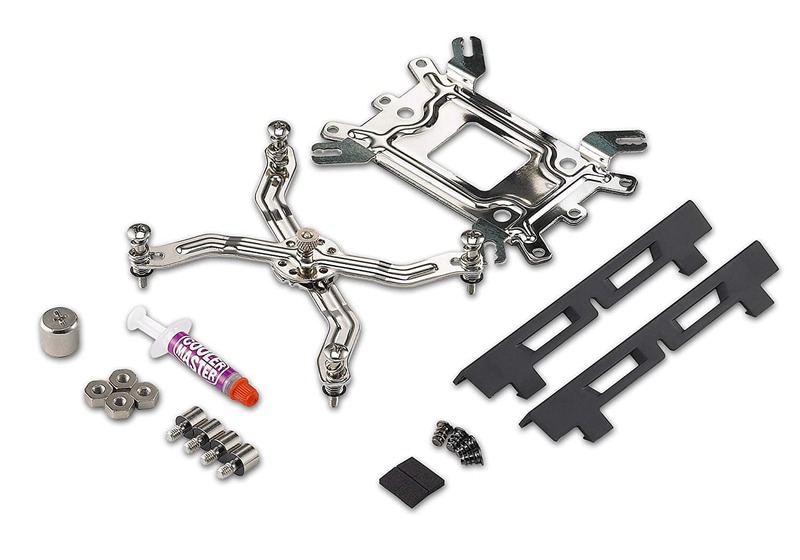 If you’re building a high-performance PC, it might make sense splurge on a liquid cooler. However, if your needs are fairly normal, air coolers are more than enough. Even for gaming, air coolers will do just fine. The only time you’ll need a liquid cooler for gaming is if you plan to play in the highest settings for long durations. 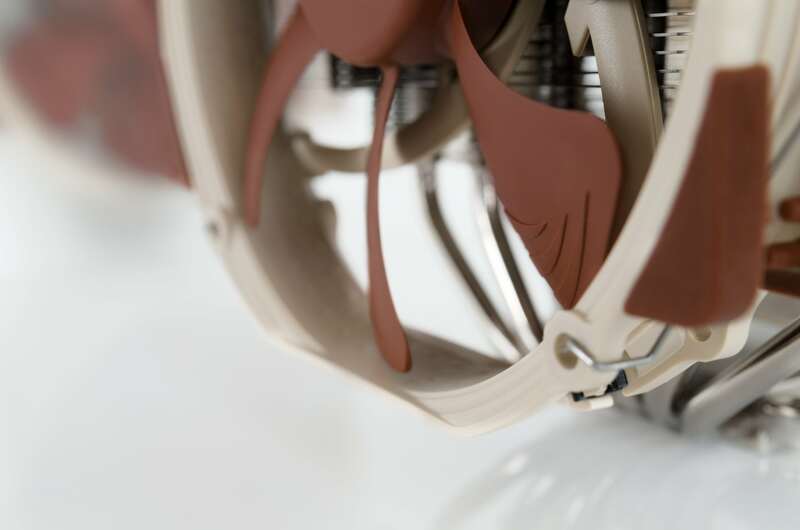 If all other factors are the same, bigger fans will cool more effectively than smaller ones and they’ll do it at lower RPM (Revolutions Per Minute). So, how big is big enough? 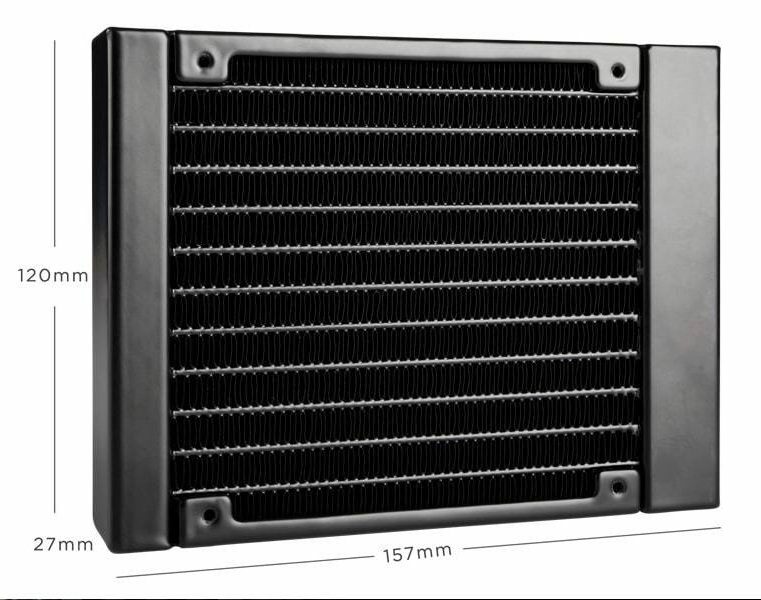 Well, most coolers fall below 160mm. This is simply because space is a luxury in a PC case. So, here’s a quick tip. Make sure the actual fan is 140mm or less. Fans larger than 140mm usually are bigger than 160mm and that’s not ideal. Now, this ‘bigger the better’ philosophy has one more practical problem. If you’re cooler is too big, installing RAM and Graphics cards will become a problem. And this clearance issue has nothing to do with the 160mm tip that we spoke about earlier. If you have a small case, even coolers smaller than 160mm will restrict access and sometimes, completely block the way. If this happens, you’ll have to unmount the cooler every time you want to install or replace a RAM or a Graphics card. Modern liquid coolers deliver better performance than air coolers. There’s no debate there. However, most people don’t push their processors enough to have any real benefit from a liquid cooler. Gaming and other simple tasks are handled very well by an air cooler. Moderate overclocking isn’t a problem for decent air coolers either. The only people who have a real use for liquid coolers are overclockers, enthusiasts, and people who do serious gaming (think professional gamers) for long durations at one go. If you plan to push your processor to the very edge of what it’s capable of, then yes. You need a liquid cooler and spending on it makes sense. However, if you’re a casual gamer, just get a good air cooler and spend more on things that actually make a real difference in gaming performance. Invest in good CPUs and even better GPUs. People building a PC for the first time usually make a mistake here. Paying a premium for silent coolers is a totally great investment. If you’ve only had experience with stock coolers and think they’re loud, here’s a surprise. Bad aftermarket coolers make a right racket. Everyone mentions that aftermarket coolers are quieter than stock coolers, but be warned. This is only true for good aftermarket coolers. The bad ones are really bad. I’ve lived through this personally. I saved $10 or $12 and ended up with a horrible cooler. My ear still hurts when I think about it. It won’t come to you as a surprise that not all coolers are compatible with all processors. However, a lot of new builders seem to make this mistake. There’s nothing called almost compatible. It either fits or it doesn’t. So, make sure you check twice before ordering new coolers. As long as you’re using a new-ish CPU and ordering a new-ish cooler, all must be well. However, checking never hurts. Here’s something to note: There are plenty of coolers that still don’t support AMD AM4 sockets. So, if you have an AMD Ryzen 2000 series processor, or the best AM3 CPU, check the compatibility sheet again. Cooler-purchasing seems to be a particularly thorny issue for some of our younger, ‘new-to-building-rigs’ readers. We get a lot of questions on this topic and we have answered some of the popular ones here. What is the best RPM for coolers? There’s no such thing as the best RPM (Revolutions Per Minute), actually. Unfortunately, it depends on a lot of factors. But, one thing to note here is that high RPM doesn’t necessarily mean better cooling. A large fan at a lower RPM can cool more effectively than a small fan at higher RPM. So, between RPM and fan size, the latter matters more. 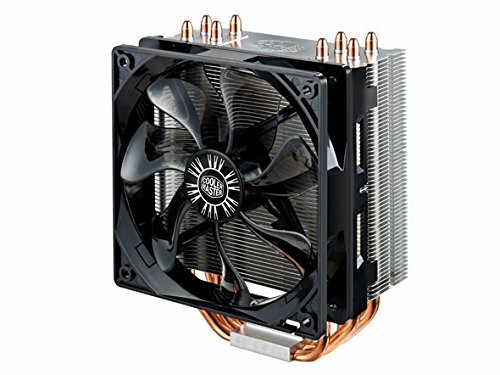 Should I buy a liquid cooler or an air cooler? Air coolers should be more than enough for most users, including gamers. If you’re an overclocking enthusiast, you’d be better off with a liquid cooler. What is TDP and how is it related to cooling? Cooler TDP, ideally, should be higher than CPU TDP. If the cooler’s TDP is lower than the TDP of the CPU, you will experience a dip in performance. If it’s slightly less, it might just be okay. If you’re overclocking, the rule is simple. Your cooler TDP has to be higher than the TDP of the CPU. Which is the best air cooler? Again, this varies. 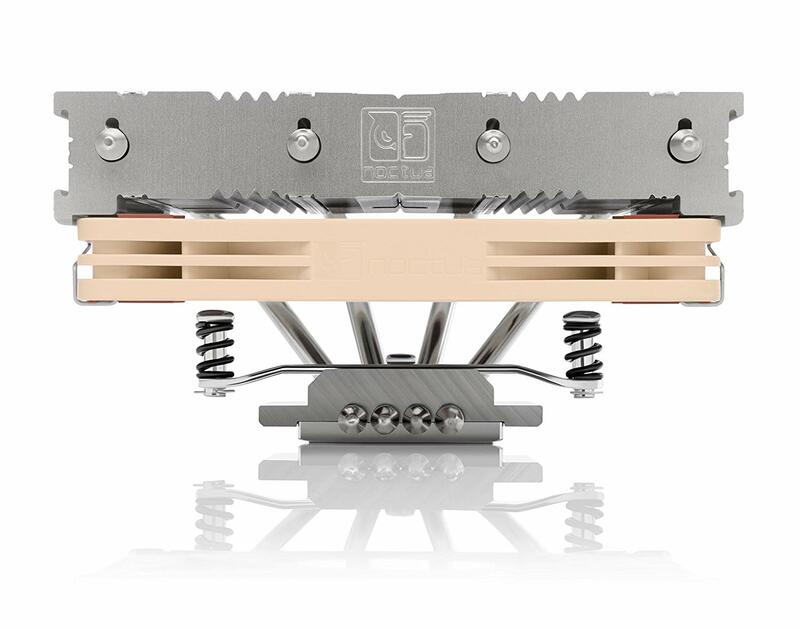 However, the Noctua NH -D15 that we’ve listed above is about as good as air coolers get. What is the difference between air cooler and water cooler? Air coolers work much like a fan. They blow air on the CPU and force it to cool down. They also carry the hot air away using specially designed fins. Liquid coolers, as the name suggests, use a liquid (usually water) and works on the principle of thermodynamics that heat moves from hotter to colder objects. Water is pumped through pipes that are in direct contact with the processor. The water gets hot and the processor gets cold. The hot water sits in the radiator for a while and cools down. Once it has cooled down enough, the process is repeated. Liquid coolers are usually quieter given that fans aren’t running at full speed all the time. Listed above are the best coolers that you can buy right now. Whatever your budget might be, chances are, you’ll find the perfect cooler in our list. The Buying Guide and FAQ are to help you narrow down on one product. They tell you exactly what to look for when buying a cooler. We love hearing from you. Tell us which cooler you bought and why you chose that one!